Southwark Heritage and Libraries are taking part in this year’s Dementia Awareness Week with a range of activities focusing on memory and local history. These relaxed drop-in activities are designed for people living with dementia, their families and carers, and for anyone who wants to reminisce and share stories about Southwark’s past. A relaxed, therapeutic reading group with refreshments. Come and hear some short stories or poems read aloud by our trained facilitator. Members of the group can join in if they wish, sharing their thoughts and experiences or taking a turn at reading. There’s no need to read anything in advance; just drop in, listen and enjoy. Dementia Friends is about learning more about dementia and the small ways you can help in everyday life and work. This session is led by our Dementia Friends champion, who is trained and supported by Alzheimer’s Society. 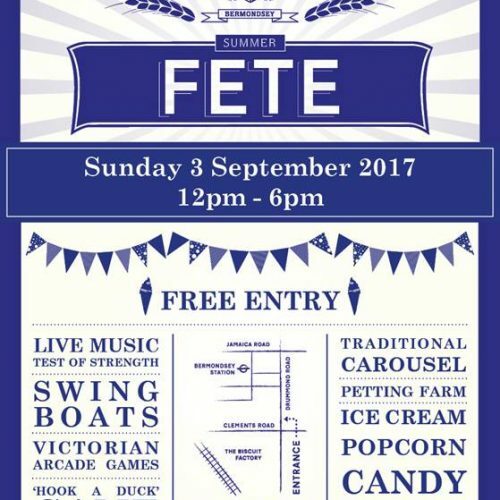 People of all ages are welcome. Southwark Libraries have a collection of books recommended by health experts and people with lived experience of dementia. This display at Canada Water Library is a good place to start for anyone looking for more information about the condition. The topics covered include living well with dementia, personal stories, and support for relatives and carers. A Music Mirror is a brief life story in your own words, with sounds and music embedded to spark memories. At this session you can learn how to use the internet to create a Music Mirror for yourself or with a friend or relative. 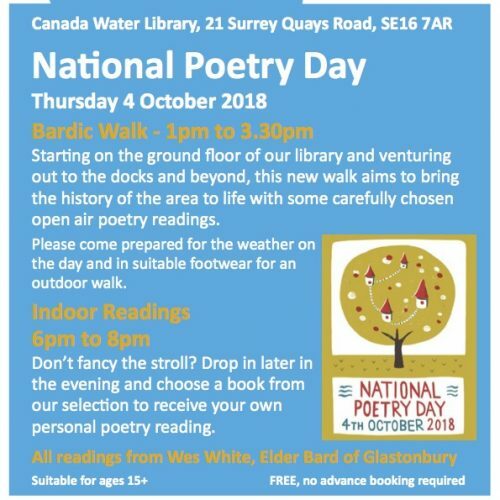 On this walk around the fascinating and historical Surrey Docks area the group will take regular breaks to enjoy a poem inspired by the surroundings. A great way to get some exercise, enjoy the environment, and learn about local history. Southwark’s heritage services have lots of objects, documents, photos and ephemera that can spark memories. In this session participants will have a rummage in the box and enjoy a chat about our memories on the theme of fabric, clothing and craft. You will also have a go at decorating some cotton book bags to take home. RemArc, or Reminiscence Archive, is a new website designed to help trigger memories in people with dementia using BBC Archive material. At this session staff will show you how to access the service and help you discover what is on offer. Join us at Southwark Local History Library and Archive to meet the staff and explore their resources in a relaxed atmosphere. They welcome people living with dementia, carers, family members and professionals and they would love to know what you think of the service, what they could do to be more dementia friendly and to hear suggestions for future collaborations. Refreshments will be provided. Southwark’s heritage services have lots of objects, documents, photos and ephemera that can spark memories. In this session participants will have a rummage in the box and enjoy a chat about our memories on the theme of wood. There will also be a simple craft activity to try. This special film show has been put together by London’s Screen Archives and Southwark Local History Library and Archive. 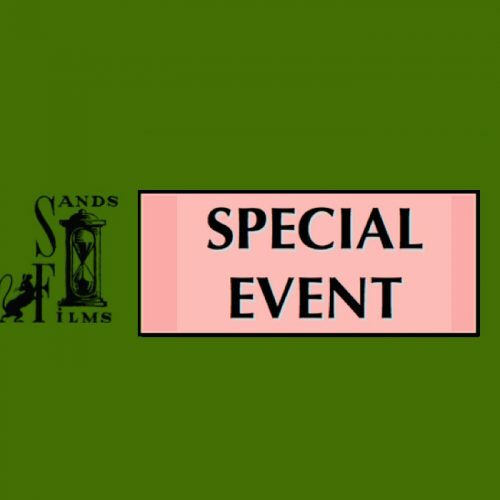 It will include local films from the 1930s to the 1960s, with related memorabilia and refreshments to enjoy. Come and experience some local history and share memories of your trips to the cinema. Drop in to either session or stay for both! RemArc, or Reminiscence Archive, is a new website designed to trigger memories in people with dementia using BBC Archive material. At this session staff will show you how to access the service and discover what is on offer. A dementia friendly performance by the Albany Theatre. Told with huge helpings of humour, poetry and original music, this is a tall story about the wonders of being small. Tickets are £7 and can be booked at www.thealbany.org.uk or by calling 020 8692 4446. Learning and engagement is an essential part of Southwark heritage’s role within the community. Whether it is handling real objects from around the world or items from Southwark’s past, using Southwark Heritage resources or joining in an activity – the team will bring it all to life.